We really take for granted the age we live in; this age of convenience. We shop online, get free delivery, and find the answer to any question in the blink of an eye. We communicate with loved ones thousands of miles away and watch 360-degree videos of visits to Antarctica. Every day we hear about new scientific discoveries and advancements that propel humanity to the stars. But, do we ever stop and be thankful? Thankful for this civilization of abundance and convenience? What we should really be thankful for is the ability to enjoy the healing properties of an ancient plant making a come back from prohibition: cannabis/hemp, or more specifically, cannabidiol (CBD). 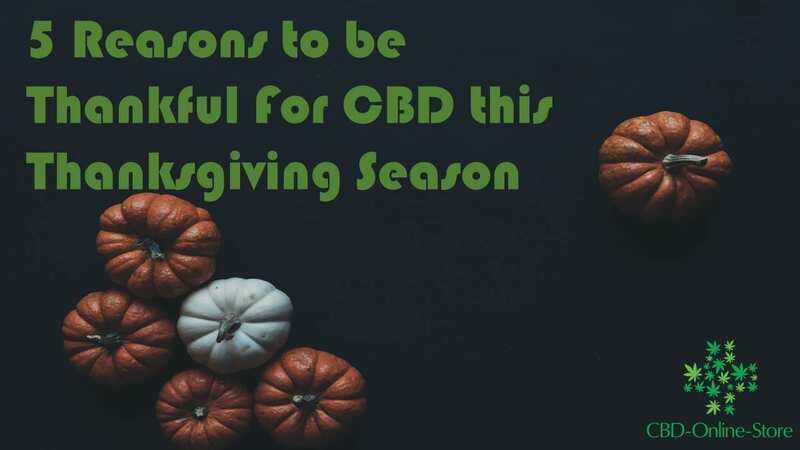 This Thanksgiving, let’s celebrate these 5 reasons to be thankful for CBD. For many years, Epilepsy in children has been a mystery. In fact, there has not been any modern treatment that is able to help stop epileptic episodes from happening. However, CBD has always been shown to stop most episodes from ever occurring. If it wasn’t for this healing power of CBD, mother’s pushing for its legalization, and empathizing politicians, we would have never seen the legalization of medical cannabis in this country –or the world. For that reason, we are thankful for CBD healing Epilepsy. Anxiety is another ailment that modern medicine is not able to fix without bad side-effects. Take for example the “fine print” we see and hear in pharmaceutical commercials on TV and Radio. Who wants to risk any of that? CBD is shown to naturally help ease the effects of anxiety. It has been the subject of many scientific studies, available in official scientific journals, which we have shown here. For that, we are thankful for CBD easing anxiety for many individuals. For many years, our pets shared our access to modern medicine. And for the most part, they benefitted greatly. But they are vulnerable to pharmaceuticals for the same reasons that we are and are prone to the same (or worse) side-effects. There is a reason why we are so close to our pets. For one thing, we share many of the same genes. We also share the Endocannabinoid System (ES). This same system is why CBD and other cannabinoids work naturally with our bodies. For more information on CBD and the ES, read more here. And to give your pet the gift of healing, shop here for these CBD Pet Treats. CBD is a powerful anti-inflammatory, so it only makes sense to try and use it on skin inflammations such as psoriasis and eczema. Although we haven’t seen any scientific studies done as of yet, there is plenty of anecdotal evidence seen from everyday people. These individuals report that their psoriasis is gone after 6 weeks of applying a CBD infused skin cream, such as this CBD Topical Balm. The sports industry is always trying to take advantage of modern techniques to increase speed, agility, and strength. Athletes are extremely competitive and love to win. So, if that win is in the form of a pill or shake, they are taking it. CBD is a very powerful anti-inflammatory, and athletes are reporting that it does wonders for post-workout muscle recovery. No wonder that there is an entire industry now growing with CBD infused shakes and pills to help speed up recovery. For that reason, we are thankful for CBD speeding up athletic recovery. If you want the purest most potent CBD Capsules, check out these ones in the store. This one from Sweat CBD was designed with recovery in mind. Check it out here. There are many other reasons to be thankful for CBD, but we found the above to be the most prevalent. This Thanksgiving, be thankful for the activists and politicians working to decriminalize and legalize a plant that has been with us for centuries. And be thankful to the researchers and scientists progressing the healing effects of cannabinoids, such as CBD. Be thankful that we live in a country that laws are changed because of the will of the voters. And for that, we are thankful to the American people. Happy Thanksgiving 2018! The CBD-Online-Store has the purest most potent CBD products verified by 3rd party laboratories. Contact us with any questions you may have and sign-up to receive exclusive discount codes and announcements of new product arrivals. Disclaimer: This article does not give any medical advice, but is communicating general publicly available knowledge about cannabidiol (CBD). Always consult your doctor before stopping, changing, or altering your daily medical regimen. World War I ended on November 11th, 1918. Actually, history says that the war ended on the 11th hour, on the 11th day of the 11th-month in 1918–precisely 100 years ago. 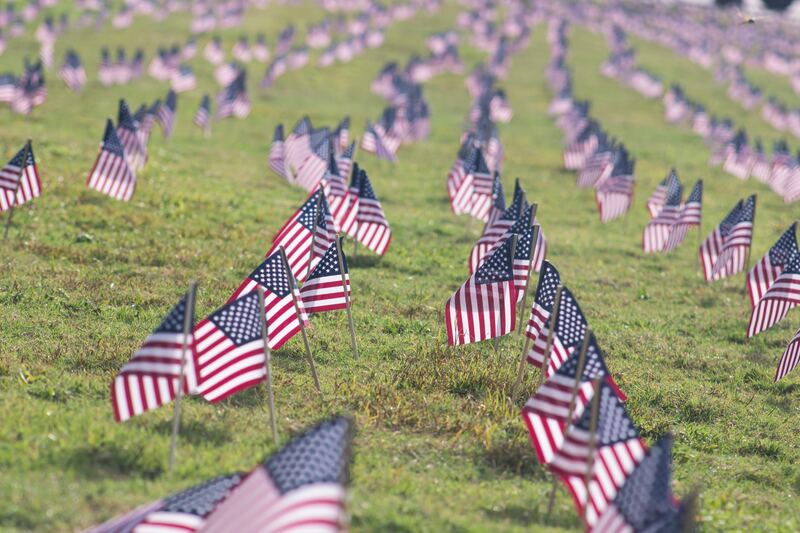 Ever since then, we have been celebrating this day in remembrance of our fallen heroes as Veterans Day. But you know what would really celebrate our veterans? The gift of healing. It is not a secret that our country mistreats veterans. Despite him missing the Veterans Day Observance at the Arlington Cemetery, Donald Trump made a promise to give our veterans the attention and care that they deserve. An Alice in Chains song (heard below), “Rooster”, speaks about a Vietnam-era veteran that experiences mistreatment with the lyrics, “they spit on me in my homeland.” The movie Born on the Fourth of July, starring Tom Cruise dealt with this issue also. There is an abundance of evidence that our veterans are not treated as well as they should. 92% support research into medical cannabis for PTSD and chronic pain. 82% support that medical cannabis becomes a federally legal treatment option. 83% support that marijuana becomes federally legal. Only 22% of respondents said that they already use medical cannabis for treatment. Only 40% lived in a state where they have medical marijuana laws. We need to listen to our veterans, give them the gift of healing, and legalize cannabis at the federal level. Veterans suffer from many different ailments. Tinnitus and hearing loss top the list, but Post Traumatic Stress Disorder (PTSD) is a close third. PTSD has been linked with developing auto-immune diseases, anxiety, sleeplessness, and depression. Cannabidiol (CBD), which is one of 113 cannabinoids in the cannabis plant can scientifically treat many of these ailments. Why? CBD is a natural and powerful anti-inflammatory. Inflammation, especially chronic inflammation, has been linked to every single disease. Cannabis, in general, is a powerful anti-inflammatory, but CBD cures “incurable” diseases like epilepsy, which is caused by inflammation in the brain. Anxiety and other mental ailments are also caused by inflammations in the brain. The FDA just approved Epidiolex, a pharmaceutical with CBD as its active ingredient, to treat epilepsy. Shortly after that approval, the DEA rescheduled Epidiolex to a Schedule V drug, as in, harmless. However, it did not reschedule CBD in general, just Epidiolex. Does that make any sense? All this evidence and all this support, yet the federal government drags its feet on this issue. Cannabis is now legal in Canada and Mexico, yet we still classify it as dangerous as heroin and ecstasy. Something is very wrong with that. We owe our entire global system to our veterans. Without their sacrifices, our country and our corporations would not be in the position they are today. It is time that we listen to their needs and give them what they want. Congress should listen to the demands of the American Legion and allow them to research cannabis and CBD to help them better treat and take care of our veterans. CBD is legal in all 50 states, and the CBD-Online-Store has free shipping in the domestic United States. If you are veteran or know a veteran suffering from PTSD, sleeplessness, anxiety, or depression, give them the gift of healing. Shop now or contact us here if you have any questions. So when the hype dies down, will the cannabidiol (CBD) market still be booming? Absolutely. That is because there is serious and sound scientific research currently underway. Just recently, the FDA approved Epidiolex, which is made of pure CBD, and recommended that the DEA reclassify the pharmaceutical to Schedule V instead of Schedule I. That is an obvious sign of where the industry is going. All of this hard work done by grassroots activists; and now big pharma steps in to take the glory. But let’s not be bitter about this, because at the end of the day we want to give people the gift of healing. CBD in conjunction with other cannabinoids can do just that. There are many scientific research projects focusing on the medicinal benefits of CBD. Here are 5 illnesses CBD can heal. There is a silver lining regarding the Epidiolex approval. Epidiolex is purified CBD, while products sold in stores like the CBD Online Store are CBD rich extracts with full spectrum cannabinoids. A new research report, which was released last month (September 2018), states that there are more benefits to CBD rich extracts over purified CBD products for the treatment of epilepsy. I am assuming, one is patentable (refined), and one is not (full spectrum cannabinoids). Nonetheless, it looks like the market will remain open for competition. The results of efficacy in the studied population suggest that treatment with CBD-based products significantly reduces seizure frequency, even for this otherwise treatment-resistant population. According to the analysis of “reported improvement,” which means, any improvement reported in the selected papers, almost 2/3 of the patients had an observed reduction in seizure frequency (399/622, 64%), with individual studies rate ranging between 37 and 89% (Table 2; Figure 2). Notably, 6 out of 11 studies showed over 80% of the patients reporting improvement. There was a higher number of patients reporting improvement after using CBD-rich Cannabis extracts (318/447, 71%) than those treated with purified CBD (81/223, 36%), with valid statistical significance (p < 0.0001). The authors of the report also concluded that “Apparently, CBD-rich Cannabis extracts are more potent and have a better safety profile (but not higher efficacy) than products with purified CBD.” So, there you have it, the products in our store are more beneficial, and likely cheaper than isolates. After 6 weeks of treatment, compared with the placebo group, the CBD group had lower levels of positive psychotic symptoms (PANSS: treatment difference=−1.4, 95% CI=−2.5, −0.2) and were more likely to have been rated as improved (CGI-I: treatment difference=−0.5, 95% CI=−0.8, −0.1) and as not severely unwell (CGI-S: treatment difference=−0.3, 95% CI=−0.5, 0.0) by the treating clinician. Studies show that cannabidiol, the main non-psychotomimetic phytocannabinoid found in Cannabis sativa, reduces anxiety via 5-HT1A and (indirect) cannabinoid receptor activation in paradigms assessing innate responses to threat. There is also accumulating evidence from animal studies investigating the effects of cannabidiol on fear memory processing indicating that it reduces learned fear in paradigms that are translationally relevant to phobias and post-traumatic stress disorder. Cannabidiol does so by reducing fear expression acutely and by disrupting fear memory reconsolidation and enhancing fear extinction, both of which can result in a lasting reduction of learned fear. Recent studies have also begun to elucidate the effects of cannabidiol on drug memory expression using paradigms with translational relevance to addiction. The findings suggest that cannabidiol reduces the expression of drug memories acutely and by disrupting their reconsolidation. Here, we review the literature demonstrating the anxiolytic effects of cannabidiol before focusing on studies investigating its effects on various fear and drug memory processes. Understanding how cannabidiol regulates emotion and emotional memory processing may eventually lead to its use as a treatment for anxiety-related and substance abuse disorders. Many people have reported immediate effects of CBD in regards to reducing anxiety. The rule is that the more severe the symptoms, the higher the dosage that is needed. Is there any other compound that can claim such overarching healing of many different ailmentsExosomes and microvesicles (EMV)? Cannabidiol (CBD), a phytocannabinoid derived from Cannabis sativa, has anti-inflammatory and anti-oxidant properties, and displays anti-proliferative activity. 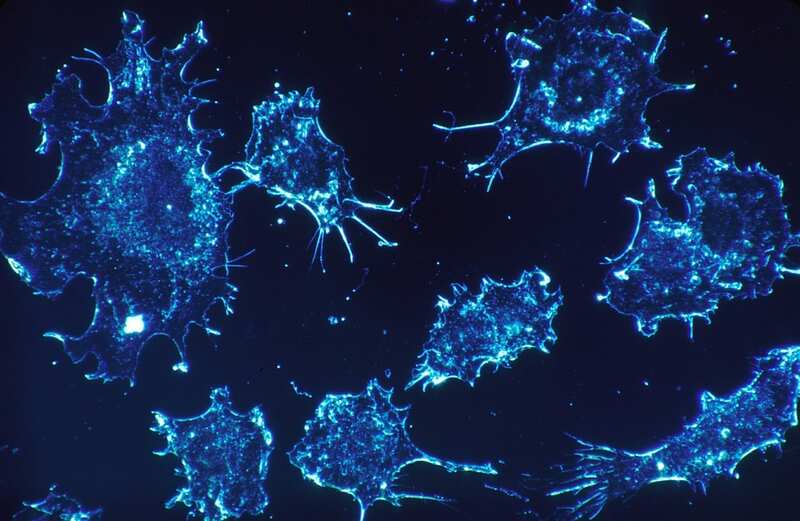 Here we report a novel role for CBD as a potent inhibitor of EMV release from three cancer cell lines: prostate cancer (PC3), hepatocellular carcinoma (HEPG2) and breast adenocarcinoma (MDA-MB-231). CBD significantly reduced exosome release in all three cancer cell lines, and also significantly, albeit more variably, inhibited microvesicle release. The EMV modulating effects of CBD were found to be dose dependent (1 and 5 μM) and cancer cell type specific. Moreover, we provide evidence that this may be associated with changes in mitochondrial function, including modulation of STAT3 and prohibitin expression, and that CBD can be used to sensitize cancer cells to chemotherapy. We suggest that the known anti-cancer effects of CBD may partly be due to the regulatory effects on EMV biogenesis, and thus CBD poses as a novel and safe modulator of EMV-mediated pathological events. Cannabidiol is truly amazing. It’s no wonder that the industry is projected to be worth $2.1 billion by 2020. In end-stage OA, CBD dose-dependently decreased joint afferent firing rate, and increased withdrawal threshold and weight bearing (P < 0.0001; n = 8). Acute, transient joint inflammation was reduced by local CBD treatment (P < 0.0001; n = 6). Prophylactic administration of CBD prevented the development of MIA-induced joint pain at later time points (P < 0.0001; n = 8), and was also found to be neuroprotective (P < 0.05; n = 6-8). The data presented here indicate that local administration of CBD blocked OA pain. Prophylactic CBD treatment prevented the later development of pain and nerve damage in these OA joints. These findings suggest that CBD may be a safe, useful therapeutic for treating OA joint neuropathic pain. This is excellent news for sufferers of OA pain. Yes, the medicinal benefits of CBD are unbelievable. But even more incredible is that the federal government still classifies CBD as a Schedule I drug despite all this therapeutic evidence, or is it? More studies are being done to find out how else to use CBD for its potent anti-inflammatory effects. One thing is for sure though, CBD-rich extracts work better than CBD isolates, meaning the whole plant is needed for maximum therapeutic benefits. The CBD Online Store is committed to increasing awareness of the medicinal benefits of CBD. All of our CBD products have been vetted by us and are verified for purity and potency by 3rd party laboratories.